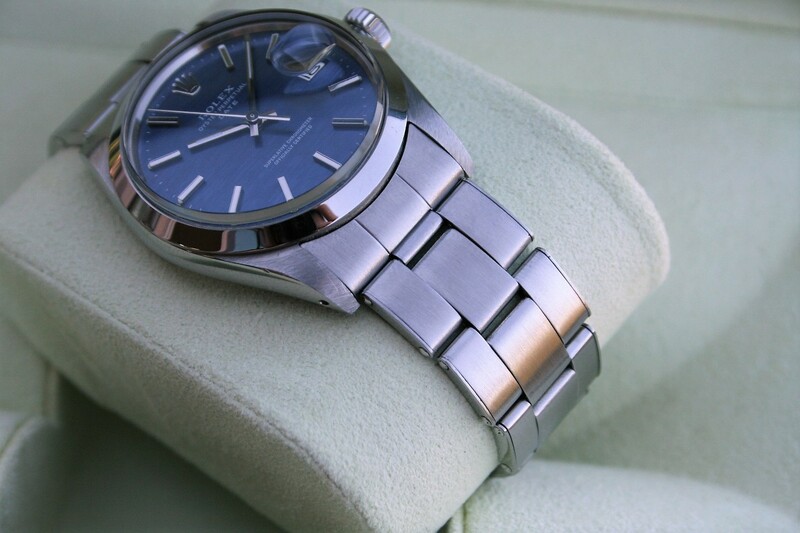 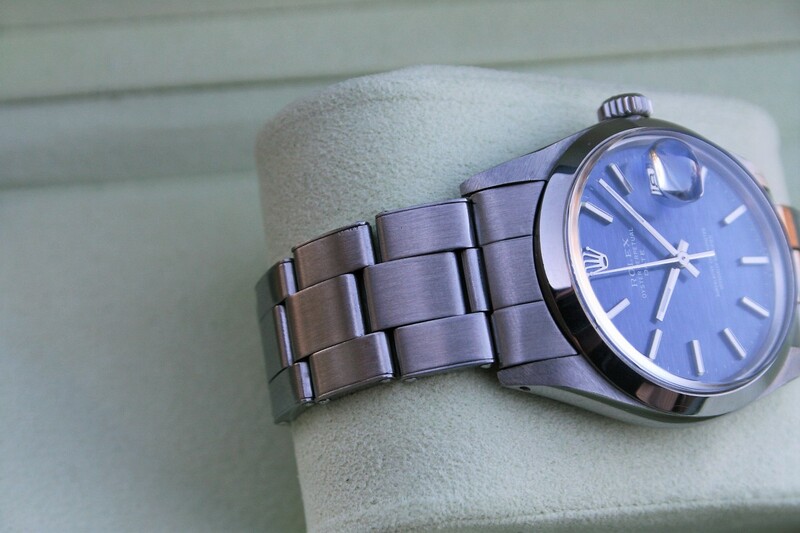 I am selling a Vintage Rolex Date model 1500/0 in excellent 88% condition. 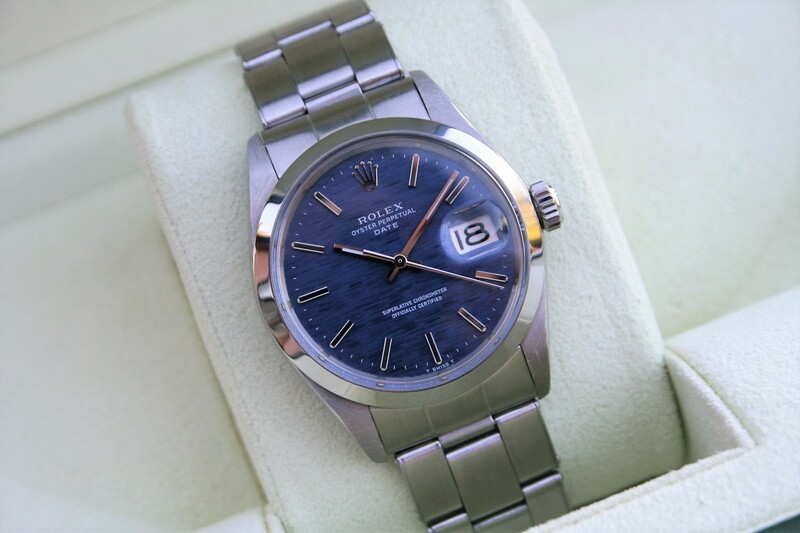 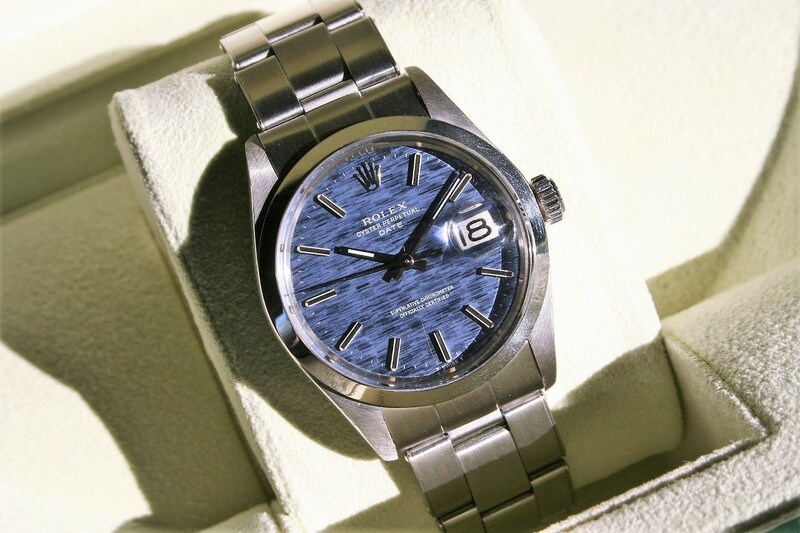 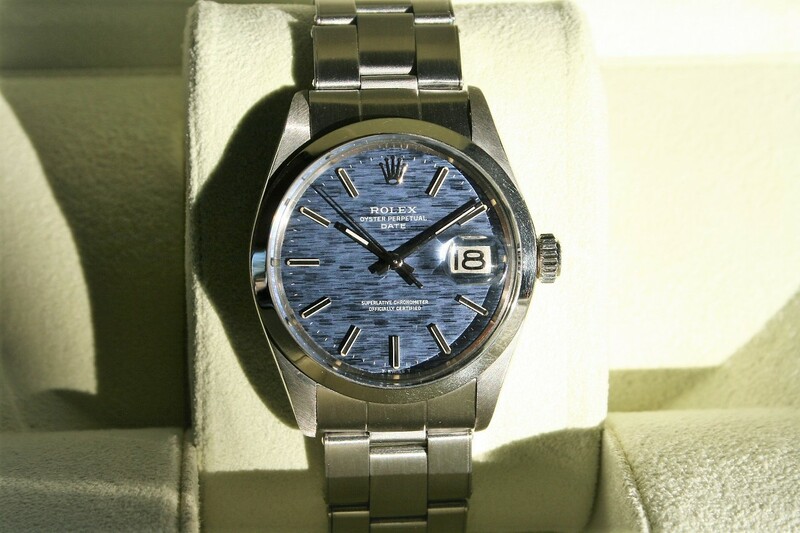 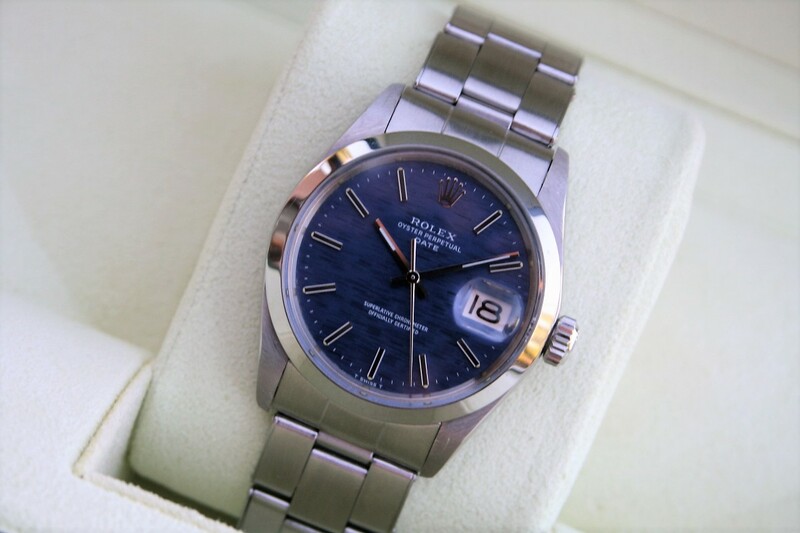 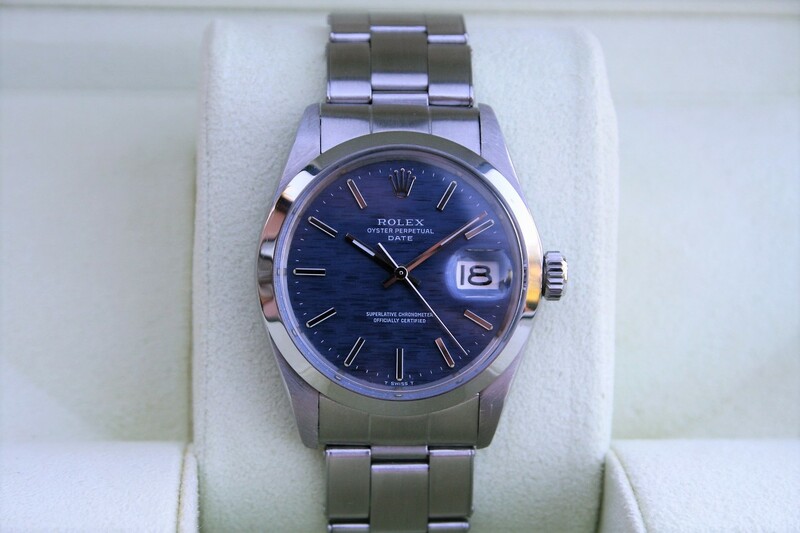 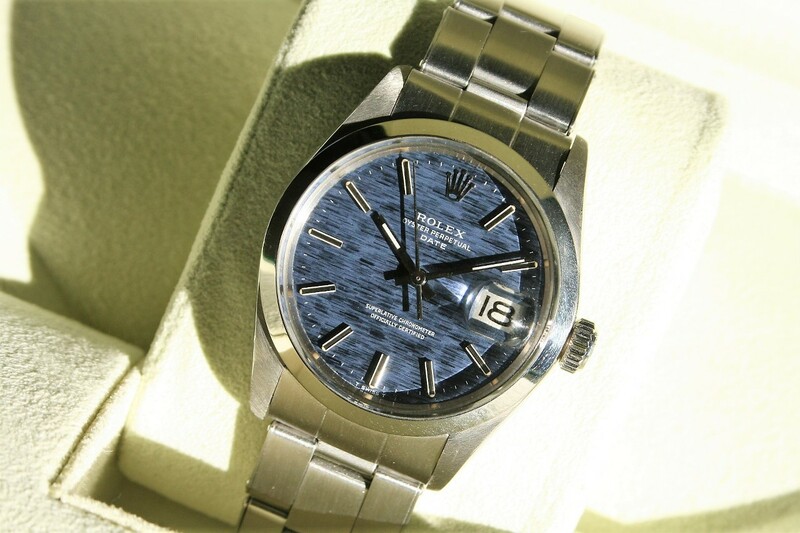 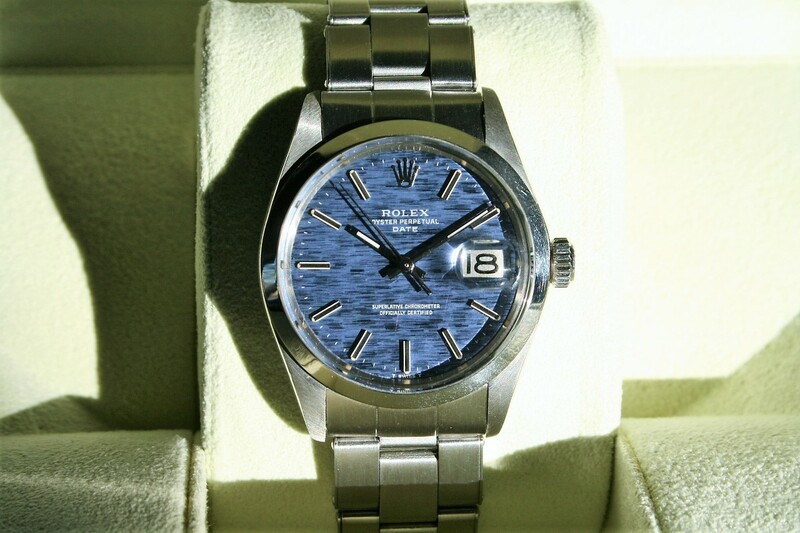 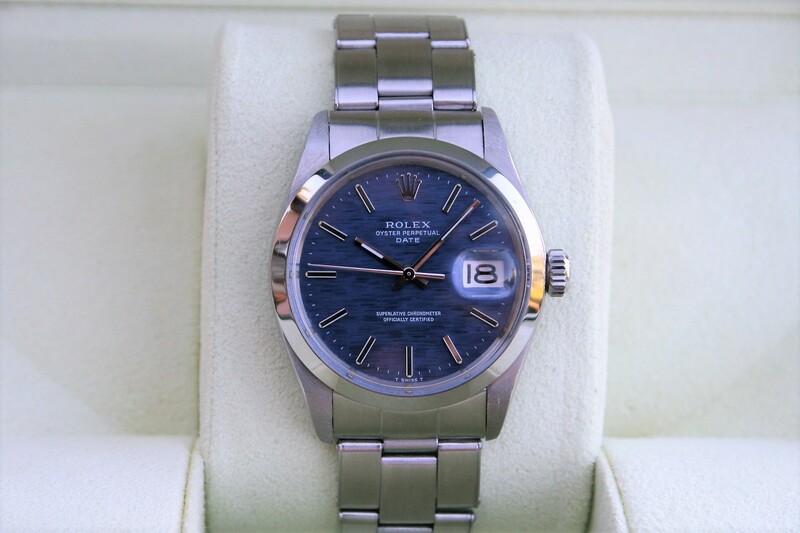 This Rolex is 2Mil serial and it comes with a super rare Blue Linen Dial and big Date wheel. 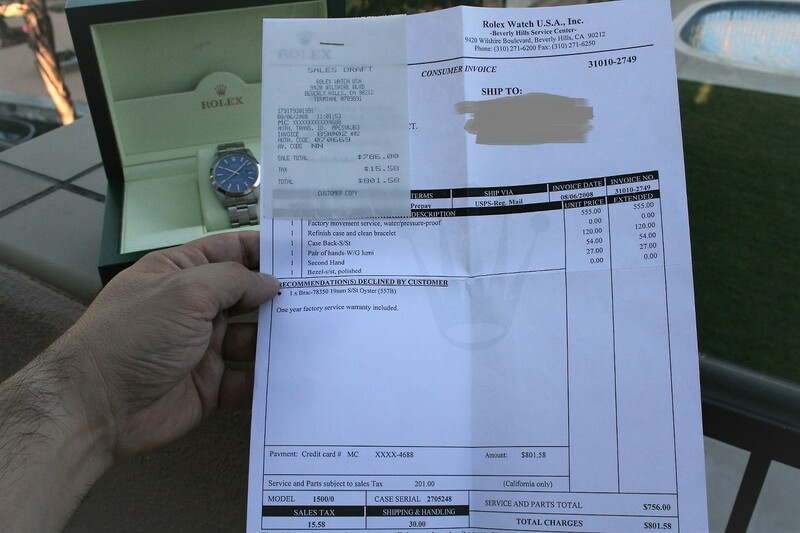 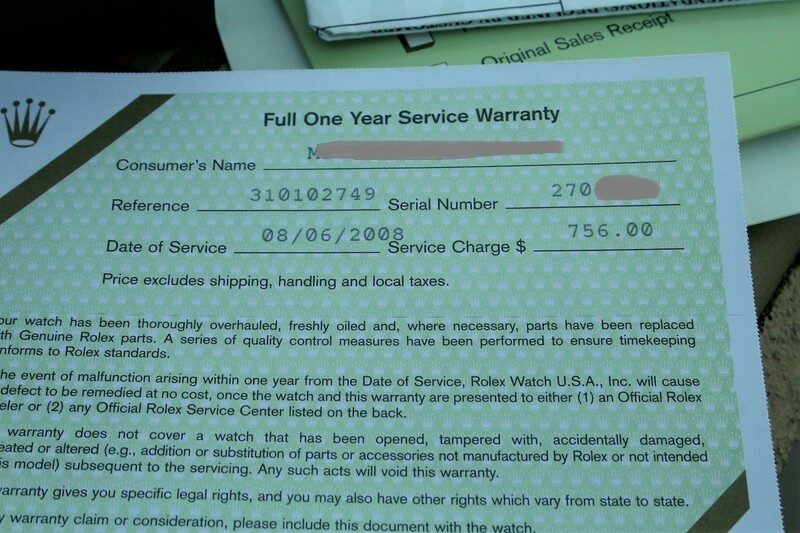 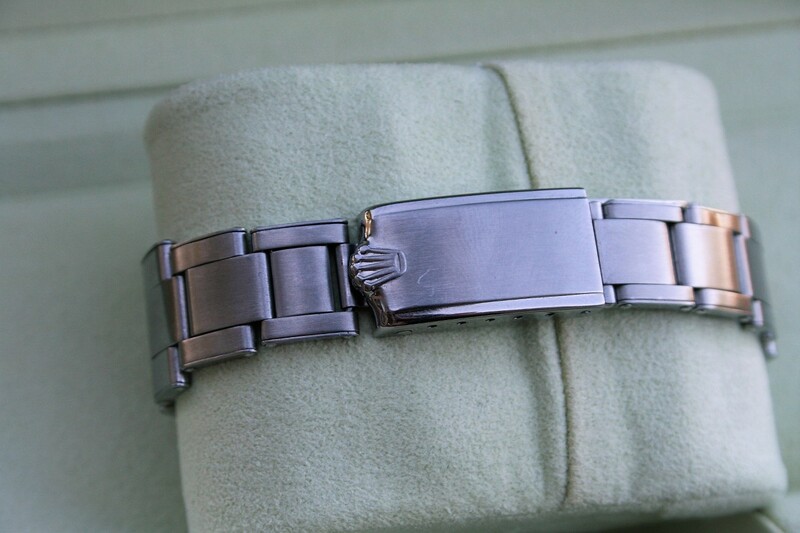 The watch comes with factory service paper that was done in 2008 At Rolex Service Center in Beverly Hills.